I’m not going to lie, I am sad to be seeing the back of Summer but there is something so exciting about heading into Autumn. The cosy jumpers, the candles, Halloween and of course tea snuggled up on the sofa in your cosy PJs. I’m also loving the Autumn make up looks. The berry lipsticks just shout Autumn in my opinion. I love checking out all the latest looks on YouTube and Zoella (Zoe Sugg) does a great look with a lipstick I actually have – Rimmel Kate Moss 107 Lipstick. Getting out the Autumn wardrobe. Cosy knitted jumpers, woolly hats and snuggly coats. Having long hot soaks in the bath with my pretty lush products and beautiful smelling candles. Movie nights on the sofa, snuggled in my duvet. Warming soups and crusty bread. 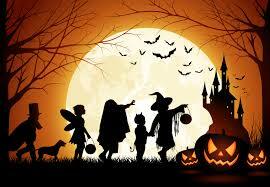 Halloween – I love Halloween. The decorations and pumpkin carving – this halloween we are having friends over to do pumpkin carving. Firework night. The smell of a bonfire and the stunning spectacle of the fireworks. The sunshine yet the chill. The colour burgundy! I bought some gorgeous burgundy loafers which will be perfect for Autumn. My favourite item of clothing – my dungarees with a lovely knitted jumper underneath! That fact that it’s nearly CHRISTMAS!!! ← Hostess with the Mostess! !